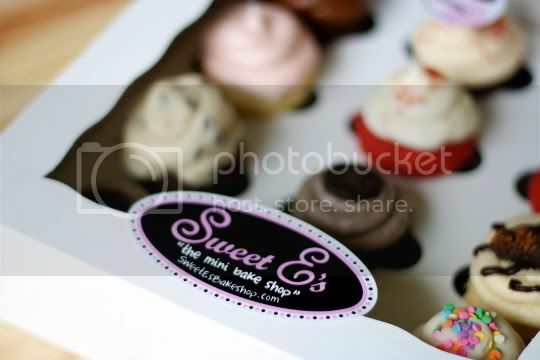 Cute, whimsical, and always up on the latest baked goods trends, Sweet E's Bake Shop offers some truly delectable and sinful treats: mini cupcakes, cake pops, brownies, whoopie pies, chocolate-covered Oreos, and more (even doggie treats!). But it's not just another trendy bakery (and mobile truck!) 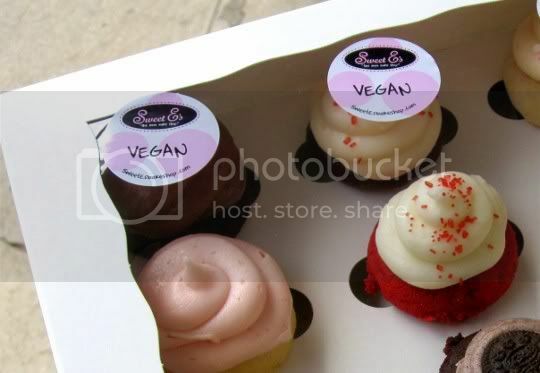 hopping on the cupcake/cake pop wagon; they veganize most of their "regular" goodies, all of which are fully customizable! 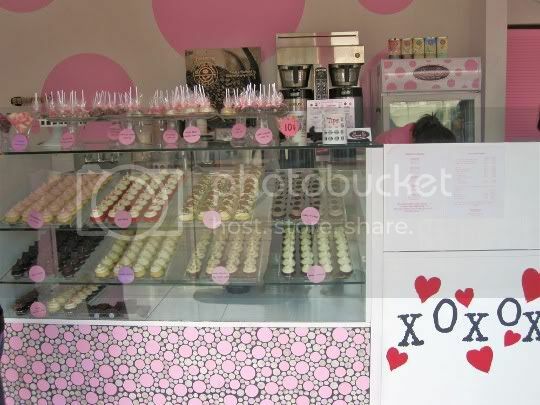 Setting foot into the bubbly, girly-saturated pink-and-white bakery is like being transported into one of the rooms at the Willy Wonka factory, or at least some kind of boutique or baby store (and whaddya know, they sell clothing!). 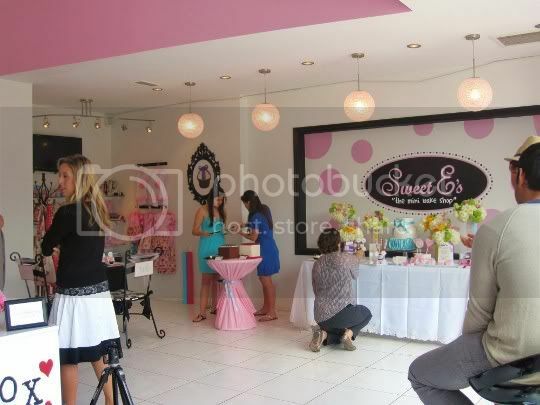 Really, the place is just so damn cute! All of the goodies are on full display, with vegan items clearly separated and marked. The classic red velvet cake with cream cheese frosting is veganized here SO well that it could easily fool non-vegans. The deep burgundy cake is tender and moist, although not really sweet on its own. However, when combined with the salty-sweet creamy cream cheese frosting? OMG, out of this world! And it really does taste like real cream cheese, with no hints of those faux tofu products or anything like that. You can definitely taste something like Earth Balance in the frosting, but it adds a delicious rich salty buttery flavor. Topped off with crunchy red sugar sprinkles, this cupcake is a sure winner. 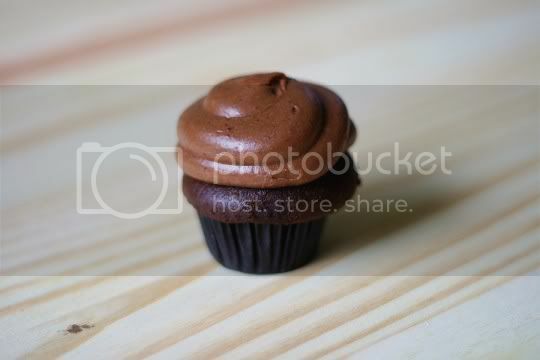 Another amazing cupcake, this cupcake definitely lives up to its name. Like the red velvet, it can easily fool non-vegans. The frosting is soft and fluffy, super sweet and milk chocolatey, and suprisingly slightly salty (more Earth Balance at work? )...but the sweet-salty combo totally works. The actual dark chocolate cake by itself is a bit dry, but when paired with the frosting, it becomes a mouthful of creamy chocolatey deliciousness. And seriously, you probably could just eat the frosting plain and still be satisfied (or get it in a frosting cone!). Alas, there had to be one bad apple in the bunch. 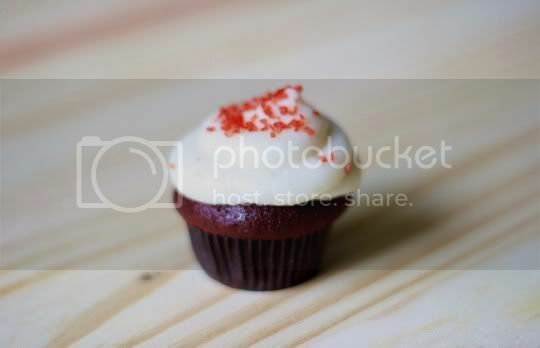 Unlike the other two cupcakes, this one was not a favorite. I'm not a huge fan of anything vanilla flavored to begin with because I think it doesn't have much of a taste other than "sweet." 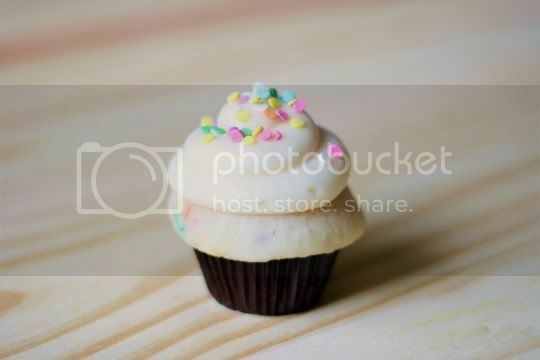 And that's what this cupcake was...sweet. The soft frosting had that same salty-sweet flavor, which was okay, but this seemed overly sweet compared to the other two. It's the cake, however, that I had the biggest problem with. It was a very strange texture: dense, cakey, sticky, pasty, and slightly chalky. Was it the flour used? Or some strange batter addition? It was also surprisingly heavy (not light and fluffy like the other two), and didn't have much vanilla flavor. Oh, and it was sweet, sweet, sweet. I don't think I'd get this one in the future.